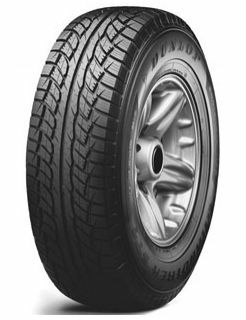 Constructed with a specialist directional tread pattern design, the SP Grandtrek ST1 ensures high levels of driving stability even when travelling at fast, motorway speeds. In addition, a specific bead seat system works to strengthen the link between rim and tyre for enhanced control and steering precision. The SP Grandtrek ST1 features large grooves which work to rapidly evacuate water and slush for enhanced aquaplaning resistance. A silica-plus compound also provides enhanced performance in cold conditions as it enables the tyre to retain stiffness for high levels of grip. Thanks to a specially designed rigid double rib, this tyre works to decrease tyre noise for a more comfortable and enjoyable driving performance.